OMG! With the exception of a single sentence, this could very well be a restaurant review. 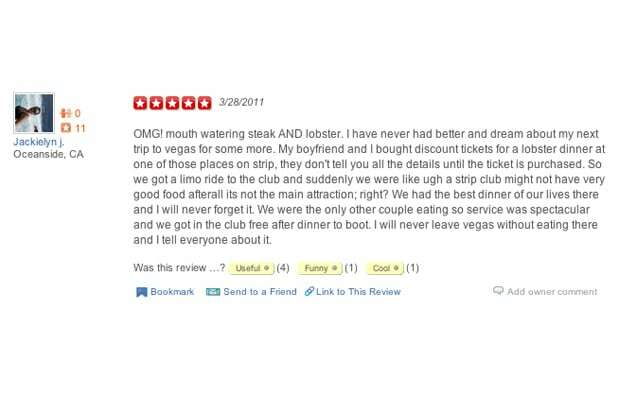 Which, okay, that's fine—except you were eating "mouth watering steak AND lobster" in full view of gyrating naked ladies. That didn't affect the meal? For real?